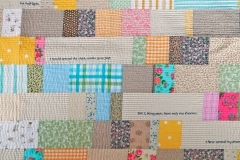 Discover the delights of colour and stitch using traditional hand stitch from Bengal, India. 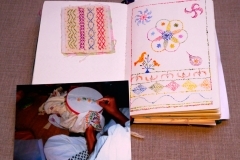 Design and create an attractive, unique sketch book cover while immersing yourself in the Indian culture. 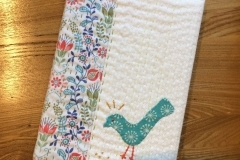 The workshop is designed to enhance your knowledge of Indian kantha work you will study patterns and techniques used by the Muslim and Hindu communities and see how they vary in motifs and the overall composition of a hanging, bag or mat. 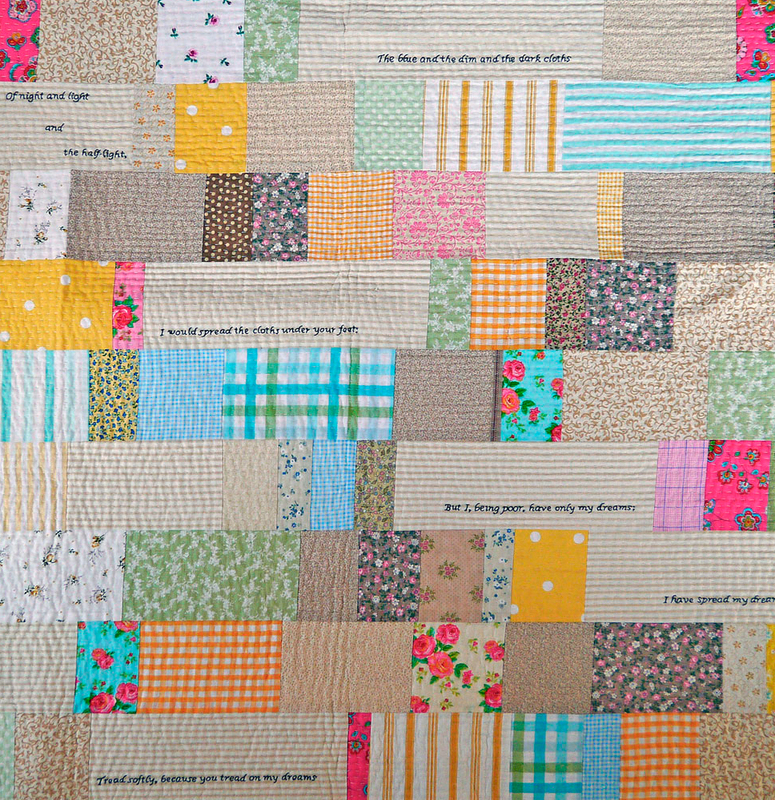 You will develop the skills of using the kantha running stitch to create texture and pattern. 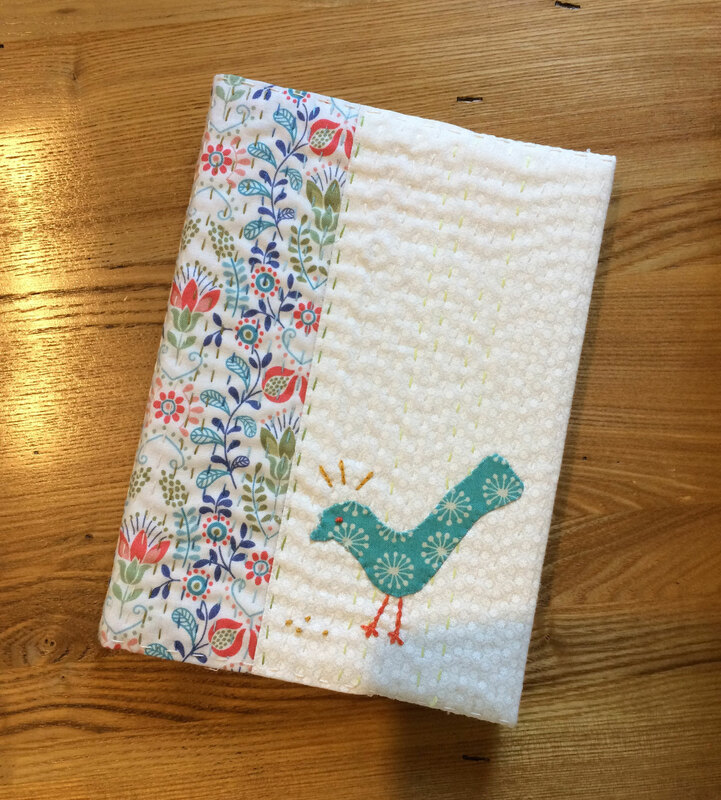 Appliqué skills will be taught which can be used to add a decorative kantha motif to your book cover. 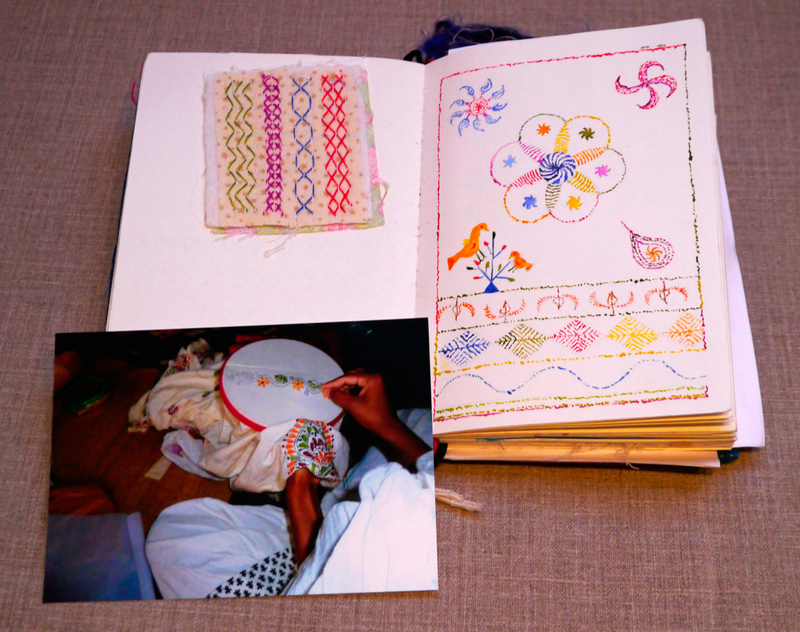 At the end of the workshop you will have a book cover made from kantha cloth with an appliquéd Indian motif to use for notes or sketching.